Dallas12 wrote: I’m just curious as to why it is not running below grade all the way through Victory? I would assume part of it is cost but did not know if there were other major factors. TIA for any insight. It's a matter of geometry as much as anything else. The portal ramp down into the tunnel requires a certain amount of space, and due to the street arrangement, the only two places it could go are on either side of Woodall Rodgers. The spot on the north side has to hold the Museum station (and might be a bit short anyways, depending on what the minimum length is), and you can't put a station on a ramp, so it has to be on the south side. In theory, they could lower the tracks just south of Victory station a bit such that a ramp west of Victory Ave could be possible, but it wouldn't really be worth it. It would require an extended shutdown of the Green and Orange lines through there (as it stands, they'll probably only need a few weekends at most to tie in the new tracks), and would just add further to the costs. As far as I know, there hasn't been any uproar about the tracks being at-grade through Victory Park; so why go through all the trouble for not much benefit. clcrash19 wrote: Drove by this last night, looks like they just finished off another floor. 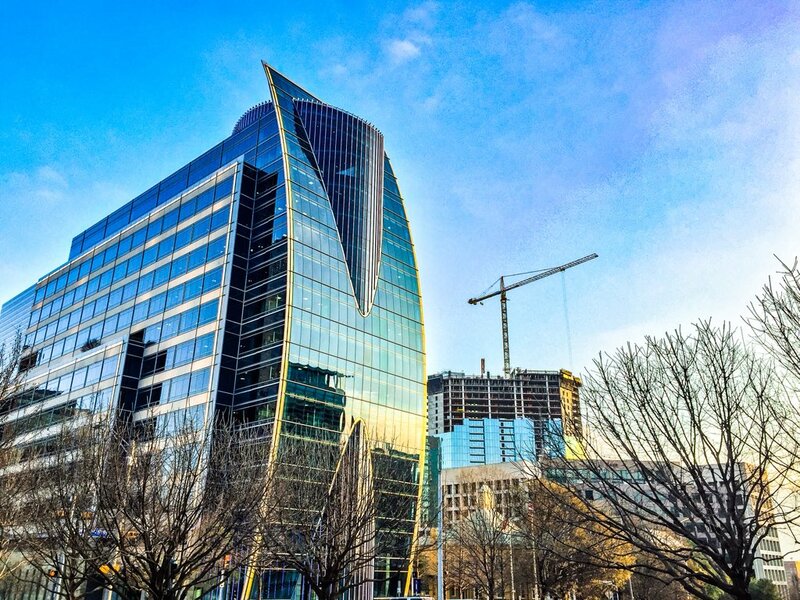 Building looks great and starting to make an impact as you drive by on the skyline.. I counted on Friday and think it was just starting level 26 which would be floor 25. As far as I know, there hasn't been any uproar about the tracks being at-grade through Victory Park; so why go through all the trouble for not much benefit. There's no uproar over at-grade track in Victory Park because trains running at-grade under Woodall Rogers do not interfere with a certain DART Board Member's side gig - but trains running at-grade under I-345 do. If that certain DART Board Member were pitching the removal of Woodall Rogers, you can be sure that we'd have heard all about the dangers of at-grade light rail slicing through Victory Park, dividing mothers from their children, snarling AAC event traffic, and mowing down innocent pedestrians and cyclists. Instead, all those concerns were hand-waved away and instead we were told that those perils only apply when trains are running at-grade along the comparatively deserted Young Street corridor. As far as the tree-lined pedestrian connection, I don't see how it benefits the AMLI development as there's still a less than hospitable pedestrian crossing at Griffin/Field and Munger, plus the giant parking lot separating it from the tower. It's a nice amenity for the Aquarium and the (potential future) museum, but I don't think it has a meaningful impact on DART ridership by future AMLI tenants. Not to bring this thread off-topic, but the fact that running the DART at-grade through Victory Park hasn't been a point of contention....just mind-boggles me. I think we're going to look back on this decision to run the rail at-grade and just wonder: "how did we allow such a preventable urban planning failure from happening?" Light rail can easily be operated as a streetcar through urban environments. LA Metro's Blue Line does this, much of Portland's light rail does as well (particularly in the urban core), as well as countless other systems and it works just fine. There is no need to go underground unless you have very short headways that are subject to disruption. The current D2 line is a good example of this, but just barely. And the fact that it's duties are being split in two negates the need for any underground route. The negatives of going underground on the other hand are that your stations are further apart, accessibility is reduced due to requiring users to navigate numerous stairlwells and longer walks to stations, costs are astronomical, and the portals themselves become barriers. Real talk, I come here everyday hoping Maconahey has posted some awesome new update photos. Lol! Those give me so much life every time. Hey! Hey! Hey! What's up good folks. Stopped by today to take these new update photos for you all to enjoy! Happened to drive by on Woodall this week and couldn't help but notice how striking this tower is going to be. Really starting to come together. 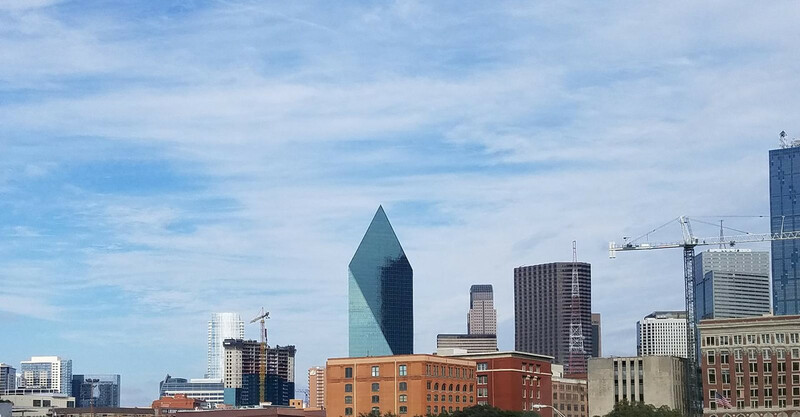 These two buildings next to each look like they say "L A"
I'm hoping that Perot goes with a skinny tower design in the lot next door so it doesn't overwhelmingly block the view of this beautiful tower in the skyline. 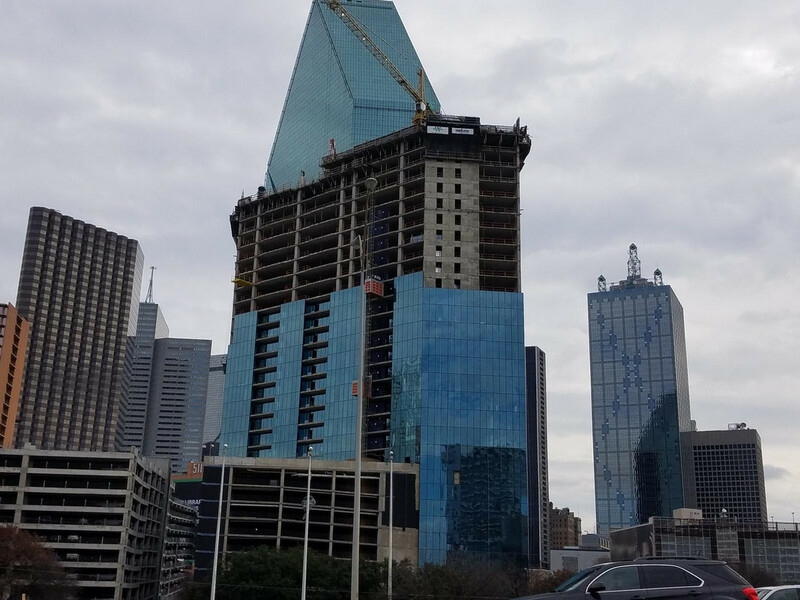 Matt777 wrote: I'm hoping that Perot goes with a skinny tower design in the lot next door so it doesn't overwhelmingly block the view of this beautiful tower in the skyline. Who cares if does. The building will be visible through other angles. 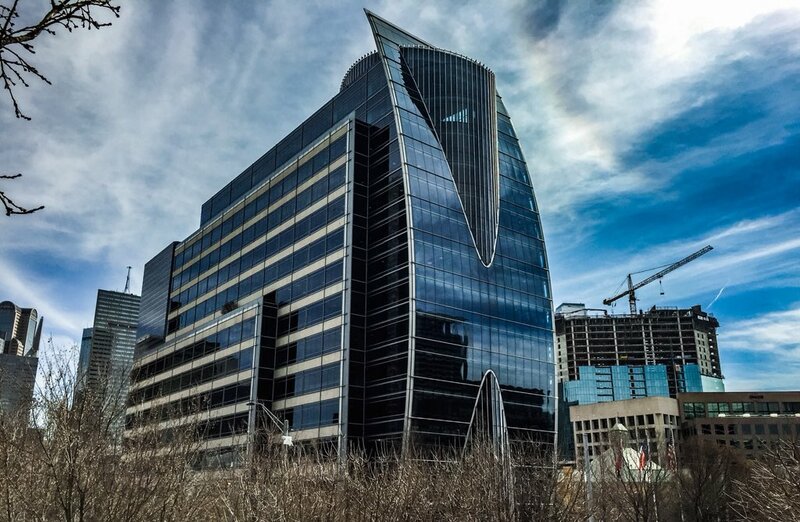 I'm more concerned about Fountain Place, an architectural gem, getting blocked, which is why a true twin would've mitigated such possibilities. Dragon_Lady wrote: I'm more concerned about Fountain Place, an architectural gem, getting blocked, which is why a true twin would've mitigated such possibilities. Skylines are to be enjoyed at different angles. 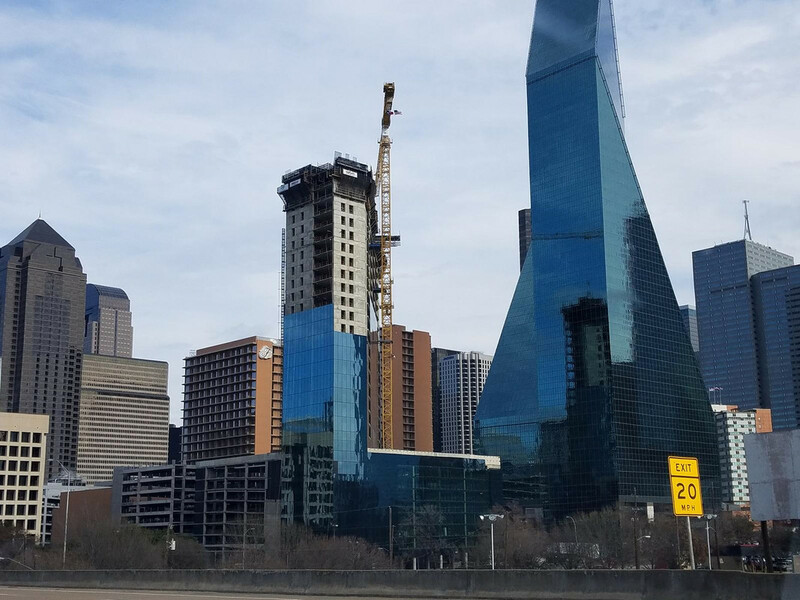 Preventing a new building from blocking out another one from a certain view is not good idea as this discourages development. Imagine if NYC didn't let other buildings block the iron building! Agreed. I’d rather see new/old towers competing for sight lines, not a smattering of skyscrapers surrounded by a sea of parking lots. Nice to see the kinetic sculpture possibilities of these two masses as seen from a moving car. Very updated and (maybe even better) version of Pennzoil Place of 70's Houston fame, now sadly blocked by bigger buildings from most angles. 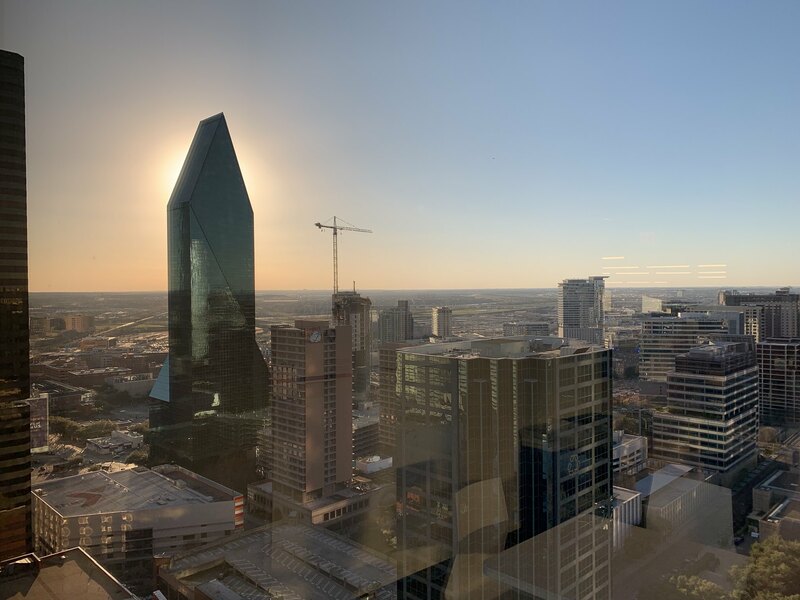 Should one wonder about the impact of a future Perot tower on this pair's hypnotic success? Counted today, they are halfway through 27 which would make it 26. 20 more floors. Looks great! Going to look great. Can we start a petition to build the retail on Ross and make this a world class destination? Wow, what a behemoth. Love it! Drove by this beauty today and actually did a double take when looking at it (I was a passenger, so had plenty of time to admire it). While I appreciate all the picture updates, for me, personally, they don't do the building justice. Seeing it in person I really could get a good sense of how big this thing will be. 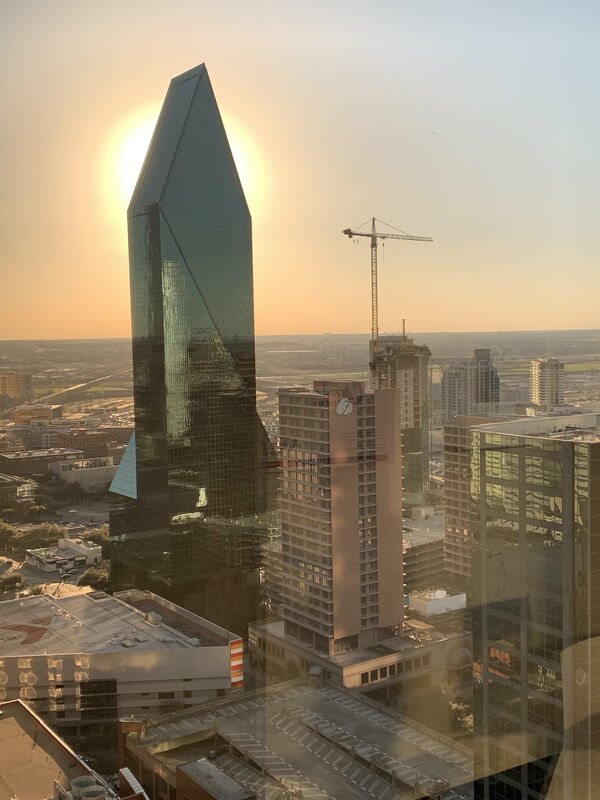 I wasn't following Dallas development back when Museum Tower was being built, so I'm only used to seeing buildings built in the 20-25 ST range, so seeing this one was quite a shock for me. Thanks for the picture updates! This one is looking fantastic so far! Going up quick these days, counted today and they are on level 30. Beautiful! Thanks for the pictures! I'm noticing that the window workers are catching up to the structural guys soon and will have to stop and catch their breaths for a little bit. itsjrd1964 wrote: I'm noticing that the window workers are catching up to the structural guys soon and will have to stop and catch their breaths for a little bit. Maybe they will move to the garage for a while, it's almost ready to start getting glassed in. I counted yesterday and they appear to be on level 32 which with no 13 would be floor 33? I dont' know if they skipped 13 or not. They were also starting to raise the crane yesterday so should be going up today if it's not already done. I noticed the crane definitely went up today! 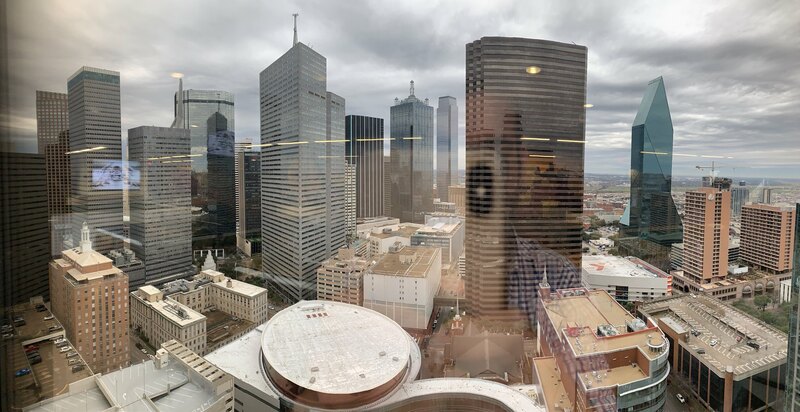 Check out the view from my new office tower. AMLI Fountain Place will eclipse The house from my view soon! 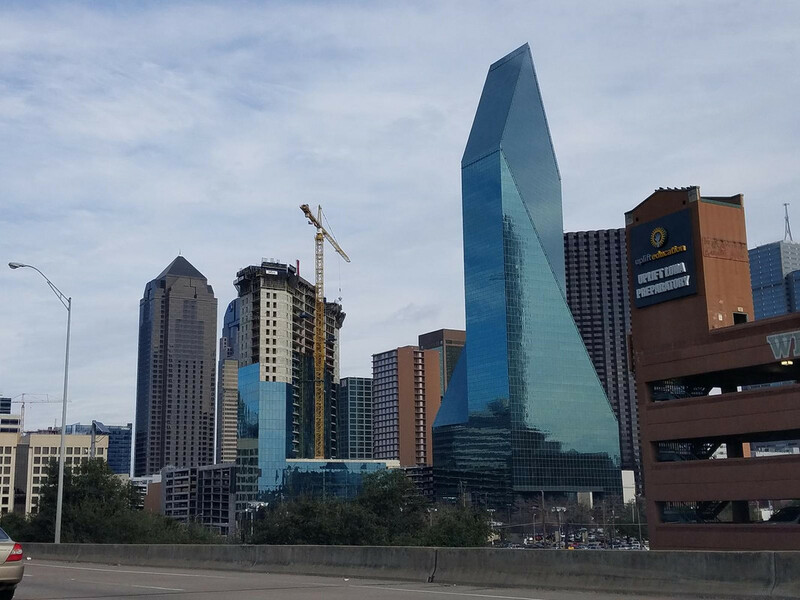 It's always fun seeing Downtown views from new perspectives. Thanks for sharing, Roman! That is a fantastic new view. What tower is it from? WesTexas wrote: That is a fantastic new view. What tower is it from? Took this today from wework! Yes, my office is in 717 N Harwood, good eye @ArtVandelay! I have been blessed with this incredible view so i will be sure to keep posting updates of the construction. I really like the sense of community we have here! 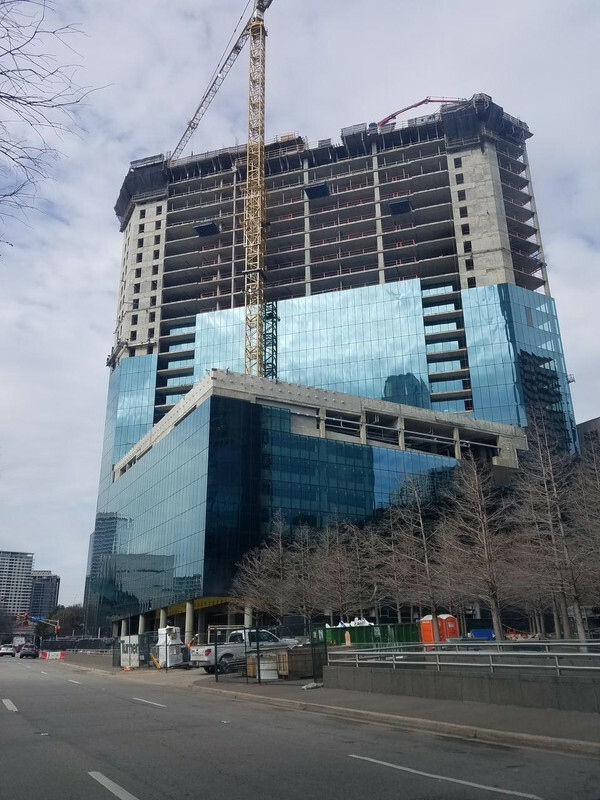 When will that parking garage next door finally get its glass cladding?